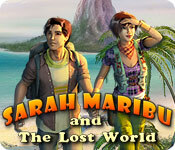 Sarah Maribu and the Lost World is rated 3.8 out of 5 by 27. Rated 5 out of 5 by leleiole from Beautifully developed. The game was a challenge, but not to the point where you drove yourself nuts trying to solve a puzzle. I detest games that restrict time and abilities. You can make this as entertaining or challenging as you wish. Entertainment is my main criteria and I hate having to leap all over the place trying to find something 8 challenges before. This was in sequence all the way through. I also would let children play it. It is cute, among other good things. Hope they come out with another one, SOON!! Rated 5 out of 5 by Innovativemom from Great Game I loved this game. I like straight hogs and that's what this is. Instead of listing the items in text it shows illustrations. This is the 1st game of that type that I have liked. 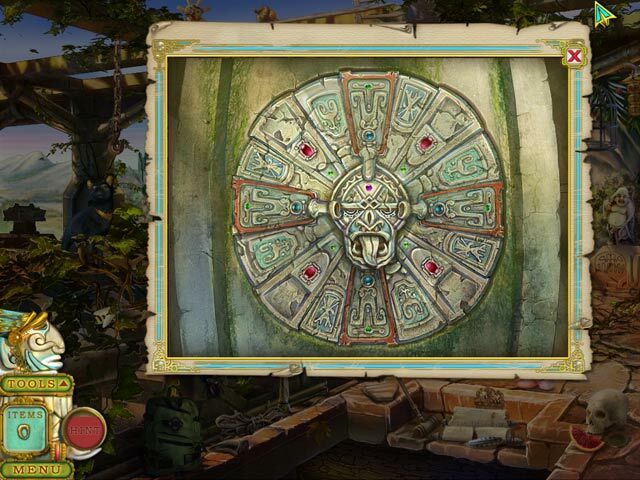 Even though the puzzles are fairly easy they're still fun and entertaining. I disagree w/ other reviewers on the level of experience needed. It's too advanced for children & would be challenging to a beginner. Rated 5 out of 5 by IsisRising from Wow! I have played this game several times because it is great!The graphics are realistic and I especially like the dinosaurs that move as if they were alive. The story line of looking for someone is interesting. The game play is not as confusing as a lot of the newer HOs out there.The sounds are very fitting and you can take your time solving the puzzles which also have a skip button if you get stuck. Rated 5 out of 5 by seseeley from Sarah to the Rescue! I'd been wanting to try a HOG and, as a girl named Sarah who loves dinosaurs and wishes she had a man in her life, this story just...well, had my name on it. :-) I enjoyed the escape. With its bright colors and cheery music (though the music did get a little old after a while--I think there were only two or three tracks) this game is a nice way to spend an afternoon or kill some time when you're sick or need a pick-me-up. You can take as long as you like and there's always a hint button to help you if you get stuck. Admittedly, the plot was a little cheesy but I didn't really care--there were dinosaurs everywhere and it's not everyday a female protag gets to rescue her man. Fun game. Not hard. Not bad. Loved the theme and the graphics were pretty. Rated 5 out of 5 by mrm2006 from Simple, easy, brainless fun And that's just what the doctor orders sometimes. Sarah and her boyfriend are visiting her Grandfather's uncharted island, minding their own business when her boyfriend disappears - or was he taken by the island's inhabitants? The free trial was full of great visuals, not too difficult to find items/tools in the HOGs and everywhere you went there was an HOG that led you to another HOG and another and another while gathering tools and then once you finished your hunting and gathering of items and tools you completed whatever the goal was in the level and moved on. My granddaughter could probably play this. I can't believe a strategy guide is available separately because I didn't see the need but, who knows, maybe further into the game you do. I played this at a time when the "doc" definitely was ordering mindless simplicity and my reaction when the free trial was over was "NO! and ARGH!". Obviously, I am purchasing it now so I can finish it. Glam-ma says go for it. Rated 5 out of 5 by tailswhiskers from Sarah Maribu and the Lost World This is a fun game. You don't need to think the game does that for you. If you get stuck you can always use the hint button. There are mini games you have to play, but you can skip those. I would recommend this game if you have had a hard day. Rated 5 out of 5 by pcpat923 from Great Game for Little Fishes Colorful, detailed and held my interest. 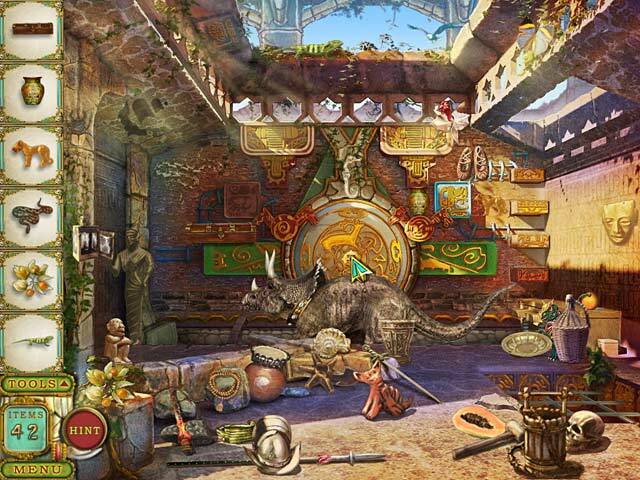 Definitely for younger gamers and Big Fish Gamers who like to kick back and have fun searching for hidden objects. 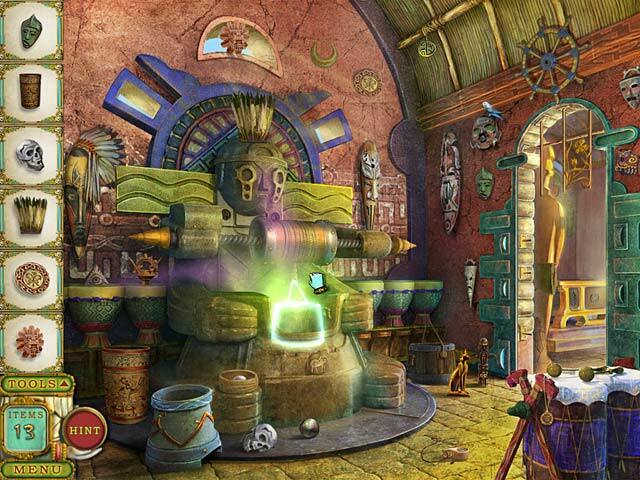 This is a Lost Island reminiscent of the Incas and otherwise unfamiliar objects can be found through shape and color. Objects are well-placed (i.e. a bird is in the sky) and good sizes to be located. Yes, there are dinosaurs so that is a BIG PLUS! Rated 5 out of 5 by honeyg412 from Fun, Fantastic and No Gore A great game to wile away a lazy day without wracking your brain for answers or straining your grey matter. The graphics are bright and cheery for a change and there's no blood, gore or demons. The music can get on your nerve after a while but you can turn it off. This is a mild adventure with plenty of HOS. However, the HOS are different than the average game so it's a break for me. All HOS are pictures of objects which I normally don't like but in this game it made it fun. Rated 4 out of 5 by cowclaudia from Enjoyed it Don't see why you would need a strategy guide on this - if you've played similar games you know how to work your way around. Graphics are good, hint button fills in fast and holds your interest. Didn't like: A lot of the music was awful but you can eliminate that. Was hoping for more dinosaurs. But overall a game to help pass the time and a big change from the usual gloomy offerings.